Lauren Binkley’s reflection on her experience in The Educators’ Cooperative speaks directly to what it feels like to be a member of the Cooperative. A Blue Ribbon Teacher, Cole Elementary Teacher of the Year, and a member, organizer, and leader of MNPS Teacher Leadership Institute, Ms. Binkley is a teacher’s teacher. Her passion for connecting with and supporting all of her students is electric and we are so grateful for her work and leadership in the Cooperative. I am a teacher. Those four words give me great pride, and, like most of us that teach, I consider it a calling and a passion as opposed to just a job or paycheck. If you had asked me two years ago if I had a heart for impacting all of Nashville’s children, I would have said yes emphatically and without reservation. But I soon realized I’ve got a bit of a chip on my shoulder. You see, I’m a public school teacher. I’m tough! I have grit! I’m working with all children. I often do my work with limited resources and tough challenges. So much of who I am as a teacher is wrapped up in my passion for and defense of public school and the children we serve. Enter the Educators’ Cooperative. A group dedicated to bringing together public, private, and charter schools teachers from across Nashville. I applied at the very last minute, all while questioning if this sort of professional development was what I really needed in my own journey. Would I be able to connect with teachers that were in such vastly different environments from my neighborhood school? Would I learn from them despite our differences and be able to offer something in return? Would they get where I was coming from? These questions seem so silly now. From the first gathering, this felt fresh and new and hopeful. There was an undercurrent of excitement running through the group that is sometimes missing in professional growth opportunities – partially charged by the significance of the content we were digging into together and partially by the significance of having many different voices at the table. For many of us, both the content and the diversity of experience were firsts! As we journeyed through the week together, connections were easily made as each person was able to be vulnerable on his or her own terms – celebrating what was strong about his or her practice and being open to opportunities for growth and learning. Any perceived walls between public, private, and charter school teachers were soon broken down as we agreed to the tenants of mutual respect and dedication to our craft. Perhaps most encouraging for me was to hear “me, too” from someone outside my usual circle of colleagues – to know that the joy of the breakthrough and the difficulty of the struggle may manifest differently in our students, but often feel the same to the teacher who is invested. The connections made were meaningful and impactful, but so was the content of our work. 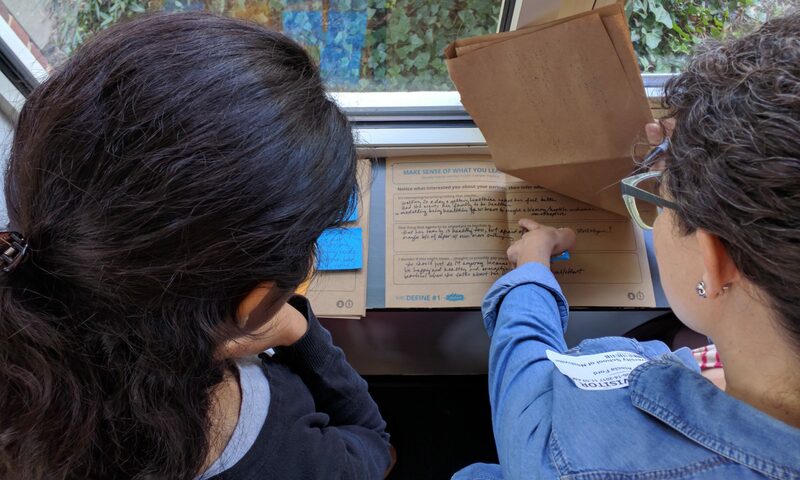 We dove into challenging and exciting topics – mindfulness, collaborative protocols for improving our practice, and even “unconferencing,” in which we all brought our burning questions to the table and heard from the best source – other teachers working on real solutions in real classrooms with real kids. What we didn’t do is perhaps equally important. We didn’t solve every challenge facing education today. We didn’t decide that all children should go to public schools or private schools or charter schools or perhaps do school at home. We didn’t really get into vouchers or the Common Core or standardized testing. What we did do was engage as people invested in the lives of students and passionate about the craft of teaching. I knew what we were doing had the power to transform our schools and our city, but worried how we would sustain our work after such a mountain-top experience. After discussing lots of options, we began meeting monthly for coffee at schools around Nashville. That’s right, coffee on Saturday mornings with collaboration, growth, and free coffee as the only goals. And, what’s more – these totally voluntary coffees were full! Much like our summer experience, we shape these coffee gatherings. We bring our ideas and challenges from across the city to a space that is safe, encouraging, and challenging. The need and hunger for authentic collaboration is validated every month by the crowd of teachers who drive across the city after a full week of school for an hour or two of quality talk with people who get it. It may seem as if I am a teacher with an inflated sense of purpose about my work in public schools and an unnecessary chip on my shoulder. And, honestly, maybe that’s true. I have my guard up constantly in an effort to protect myself, my colleagues, and my students from a political landscape that says our public schools aren’t enough. What I hope you hear most from all of this, however, is the power of unexpected collaboration to impact heart, mind, and practice of individuals, and, in turn, our world. The Cooperative helped me see my identity as a Nashville teacher more fully and with a clearer heart for my work and for all the children of our growing city. Now, we’re two years and two cohorts in, and I think it’s fair to say that EdCo is only getting started. The week together in the summer, the monthly coffees, and the informal gatherings spurred from both are changing teaching and learning in Nashville. In a world that constantly feels poised for battle, we’re bridging the gap in an effort to do what’s right for children and our profession. As a result of putting in the hard work in the beginning, we have collegial relationships to stand on when we disagree or constructively challenge one another. It may sound ideal and dreamy on paper, and, often, remarkably, it truly is. And you may say I’m a dreamer, but as John Lennon sang and the Cooperative proves – “I’m not the only one.” We’d love for you to join us and help our corner of the world to really be as one.